Install Amazonbetting app with just one click and HAVE FUN 24/7! All over the world - and now in your pocket! Betting has never been this FUN, FAST and EASY! You also get terrific ONLINE CASINO with more than 300 modern and interactive games! 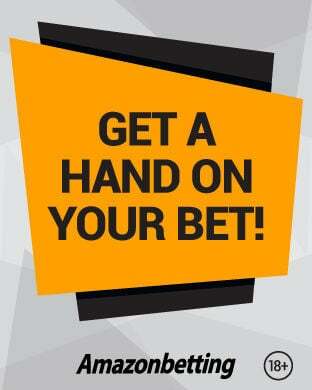 Bet anytime you want! From Premier League, Bundesliga, La Liga, Serie A, NBA, Wimbledon, French Open, Australian Open, US Open to lower leagues, challengers and 3,6 MILLION MATCHES YEARLY! Cashout at any moment! Before your matches start, or while they are in progress - you can collect your winnings literally whenever you want! You don't even need a phone in order to bet online! 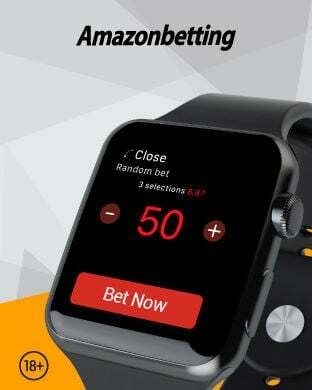 Have fun with our revolutionary Apple watch betting app! Do you know an app that offers you more than 300 games, with a chance to win some money? Well, Amazonbetting app offers you that! Theme slots, roulette, poker, black jack, and for anyone who loves big wins - JACKPOT games are real deal! Be a bookie! Bet on literally ANYTHING you want! 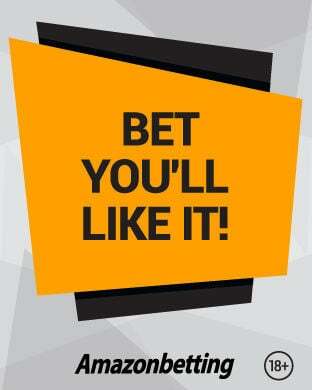 Want to bet, but you can't find desired event in our offer? Use Empty bet option and odds will be in front of you in a matter of seconds! LOL, World of Tanks, Starcraft, Counter Strike - all these games in one place! All the best teams and most important tournaments are there! Bet on e-sports! Our customers must be at least 18 years old.